When it comes to expensive toys, exotic sports cars, superyachts and private jets tend to take the cake in the pricing arena. 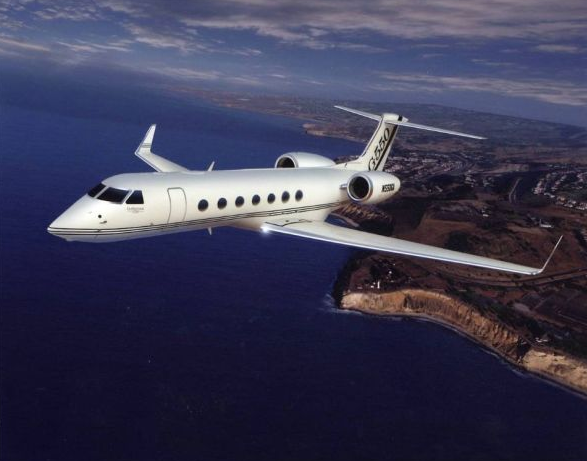 The following are among the most expensive private jets in the world, fitted with every amenity and a price tag to match! There are some out there who only need to use a private jet charter or exotic car rental company when they are too far from their own fleets. Delta Airlines Provides Porsche Chauffeur Service to Valued Customers—Imagine Lifestyles Values Every Customer! Delta Airlines is showing their appreciation to select “valued customers” with a luxury perk—a chauffeured Porsche! While that approach may impress the lucky few who receive it, Imagine Lifestyles values all customers with available chauffeur services for any of our exotic car rentals in Miami, Chicago, New York and LA—playing no favorites! The word sheikh is synonymous with excess, like this 23-passenger Lamborghini-ish superbus. Unlike previous expensive endeavors, however, the intentions behind this project are far-reaching and admirable! This electric luxury bus can reduce emissions and congestion by shuttling people seamlessly around the city! And I assumed it was an extravagant personal vehicle based on previous sheikh behaviors…shame on me! (Video is at bottom of post). Living the true luxury lifestyle also includes travel, but if you have grown tired of the typical trips to Europe, Bora Bora or Hawaii, tune up your inner trendsetter with these 5 unique places you can visit that will leave all of your friends with a pale twinge of jealousy! Here are five luxury travel tips to share! What Are India’s Super Rich Buying? India is saturated with millionaires. Newly wealthy Indians are creating a luxury car market boom, enticing many luxury car companies to open operations there. Aside from luxury cars, what items are India’s super rich buying these days? In a study conducted by Kotak Wealth Management, the newly wealthy folks in India are buying customized holiday packages, luxury watches, diamonds and jewels and home electronics (smartphones and high-end cameras)…in that order. I assume that Indians also splurge on exotic car rentals while on holiday, especially in destinations like Miami and South Beach! Some people just have a thing for owning bragging rights, and those rights can be quite pricey. Australian Julian Hayward was such a fan of the Airbus A380 that he dropped a sky-high $100,380.00 USD (note the 380 in the price) to be the first passenger to purchase an Airbus ticket back in 2007. This is a lofty price even for our most expensive items collection! To get a feel for just how ginormous this plane is, see video of Airbus A380 hits Comair commercial flight! In what could have been a tragedy, an Air France Airbus A380-800 (F-HPJD) Clipped a Comair Bombardier operating as a Delta connection flight as while preparing for departure from JFK. The Air France Airbus A380 was carrying 520 passengers when it collided with the Bombardier CRJ701ER, moving it the *%&$ out of its way…no injuries were reported, just delays. The passengers on that flight likely wish they had opted for a private jet charter with a New York exotic rental car waiting for them at the hangar.